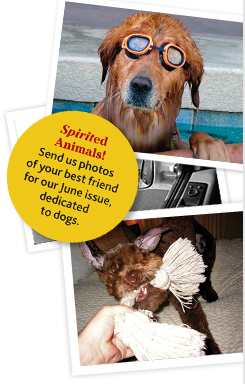 If you live in or near a city served by Southwest Airlines, your dog’s photo could be included in the June issue of Spirit, the airlines’ in-flight magazine. Send snapshots taken of your dog, near Southwest destinations, and upload or snail-mail them to the magazine. The best ones will be printed in the June issue, which will be dedicated to dogs. Uploaded photos must be in jpeg format. Read more about the feature. You can see the airlines’ route map here. I stumbled across this publicity tips while doing research for my special report on how to get publicity in the in-flight magazines. This year’s update includes contact information and pitching tips for 52 56 magazines (we found four more). It also includes lots of links to profiles on Twitter, LinkedIn and Facebook where you can find editors, reporters, freelancers and correspondents who write for these magazines, and join the airline’s or the magazine’s Facebook Fan Page.